The Mighty KBC will start testing in DRM mode. That’s all they say on their website, but the news is most welcome. KBC only recently started broadcasting on shortwave, to make the jump into DRM so soon shows no lack of enthusiasm for the medium. 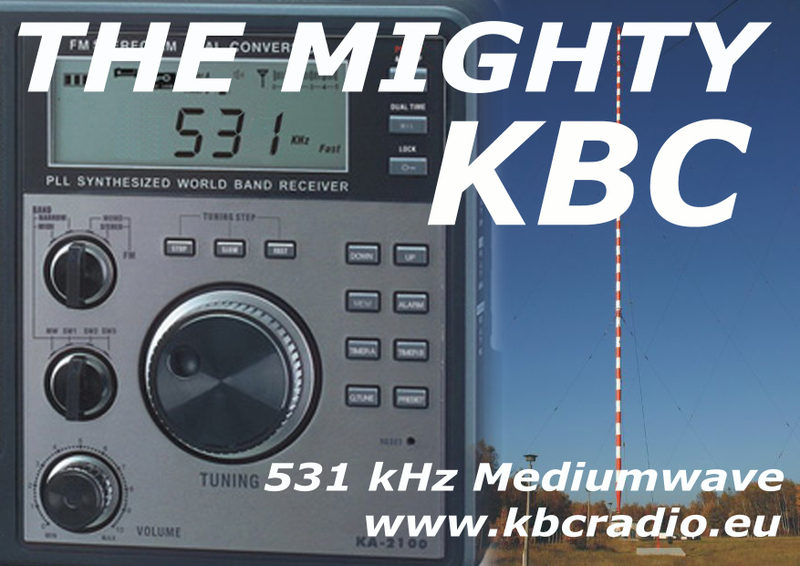 KBC currently broadcasts on shortwave (analog) on 6095 kHz from 9:00-16:00 UTC Saturdays and Sundays. This entry was posted in Broadcasters, DRM, News and tagged KBC, KBC DRM, KBC Radio, KBC Shortwave Broadcast Schedule, The Mighty KBC on October 20, 2011 by Thomas.